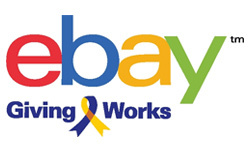 ebay Giving Works is a program that allows sellers to list items on ebay to benefit nonprofit organizations. Any ebay seller with an account in good standing can create an ebay Giving Works listing. The program is administered by the PayPal Giving Fund, ebay's nonprofit partner. Buyers can also make an ebay purchase to benefit United Way of the Greater Capital Region. We offer certified sports and celebrity memorabilia for bidding. New items are added often. Sell or bid now to support United Way. A portion of your purchase will go to United Way. AmazonSmile is a website operated by Amazon that lets customers enjoy the same wide selection of products, low prices, and convenient shopping features as on Amazon.com. The difference is that when customers shop on AmazonSmile (smile.amazon.com), the AmazonSmile Foundation will donate 0.5% of the price of eligible purchases to the charitable organizations selected by customers. Start shopping for United Way, click the link below. It’s easy to include United Way in your estate plan. Legacy giving is a powerful way to perpetuate your community support and make a lasting impact. Find more information here.